AnonD-155477, 17 Sep 2014 i have use this mobile kitket 4.4.2 last 10 days & face some problem as per detail below ... moreIf play store doesn't open with mobile data , then you need to buy a better internet connection bro..
And I m not facing any single problem you talking about.. I used it from at least 2 months..
ALPESH PATEL, 07 Sep 2014Sir, apps storage increase from 0.98GB to 4 GB. I also use with KitKat last a week. I update i... moreHi, I am using Xoloq3000, i am facing problem regarding, as Unfortunately Settings has stoppedworking. Pls. guide me how to go all about. Phone & all other Apps working. 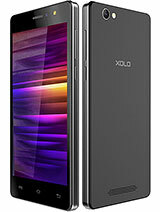 Abi, 11 Oct 2014Hi folks, I plan to buy xolo q3000 , whether i can go for this brand . my budget maximum 15... moreHello Abi. Regarding expert review you can check for NDTV gadgets review. I have used it for six months and below are possitives and negatives of phone. you can decide for yourself after them whether it suits your requirement or not. 1) Brilliant 5.7" full HD LCD with 386 PPI. best in this category. our human eyes can detect PPI only till that so 441 or above PPI is all marketting gimick to fool people and lure them. 2) Excellent battery backup with mediocre use. but yes if you watch full hd videos the battery does drain fast. with mediocre usage expect a decent one and half day usage. 3) Excellent in built memory and RAM. KITKAT version has also rectified the problem of Auto brightness and only 1 GB internal APP memory. now the sensors work fine and internal app memory is 4 GB. 4) Good build quality. My phone has sustained 4 massive drops so i am really impressed by its build quality. and black color one has a rubberised back so no need to put any flip cover or back cover. just put a scratch guard and enjoy. 5) Accessories bundled with Xolo q3000 is somewhat ok as the headphones too are in ear. 1) Outdated GPU. really really a disastorous GPU. It lags badly if you play heavy graphic intensive games. really lets the Processor and 2 GB ram sound useless due to a bad bad GPU. 2) due to poor GPU the processor has to handle a lot of pressure while playing games so it does get heated too much. Although till now it hasn"t caused any damage to phone but yes i believe the phone will not last for more then two years. 3) Rear camera is not as good as an 13MP should be. its just equivalent to 8MP of any brand. 4) Phone is very thick. I don"t know why Xolo made it so thick. Look at Sony Xperia t2 ultra. 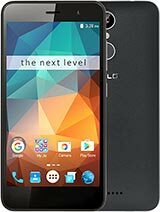 being a 6" phone how light weight and slim it is. Q3000 should have been a bit slimmer. 5) Poor availability of accessories make it a difficult option for consumer to buy. When will its stable version arrive???? Kriti Mahajan, 10 Oct 2014Please someone help?am super confused which ph to buy.my choices are q3000 q10000 s n q 1010... moreHello Kriti. 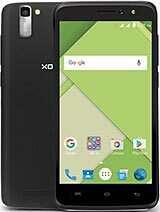 I have been using Xolo Q3000 for six months and still find it damn charming and useful. Don't believe to people's review as all are based on their destinical grounds. Any world class poducts can prove fruitful to one and worthless to other. its all destiny. As we recently saw how Iphone 6 plus turned out to be a horror for its buyers. 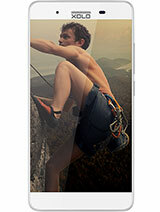 Q3000 has a humongous screen which is the best in this price segment and even a todd higher till 20000 rs. let me remind that all other phones with screens bigger or equal to 5.5" doesn't have full hd screen in 15000 rs price segment. even HTC Desire 816 which costs almost 21000 rs doesn't have a full hd screen. For 15000 don't go for Xolo. You will face problems with after sales, and resale value will be very low. The average turnaround time in the service centre is 3 weeks. Even if you want a battery, it will take 3 weeks. Spares are not readily available in open market, so you can't approach third party service centre. Finally, Xolo itself doesn't support devices for more than a year. In conclusion, the only way you can ensure availability of spares and quick turnaround time is BY BUYING TWO PHONES, keep one as backup. This is the same with all Indian brands. So for 8000 you can get Xolo, since in effect you will be spending 16000! Anonymous, 21 Sep 2014I had updated KitKat 4.4.2 successfully with 4 GB app storage... And also done a root with CWM... morehow to increase apps storage and update anroid .plz tell me the prosess ? Please someone help?am super confused which ph to buy.my choices are q3000 q10000 s n q 1010i.also want to know if this supports fm?i really like this phone but all the negative comments are confusing me. Can any user kindly explain whether its a dual standby & dual active devise. anu, 08 Oct 2014Plz guys can anyone tell me (I m useless in terms of knowing anything ant mobiles) that the in... moreHello Anu. Your phone's internal memory is 16GB out of which app memory is 4GB. So that means that your apps can be installed in your phone uptil 4GB. Rest of memory is for video files, audio files, Pics, etc. 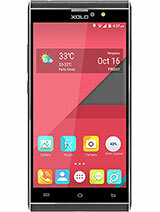 Plz guys can anyone tell me (I m useless in terms of knowing anything ant mobiles) that the internal memory of xolo q3000 is 4gb or 16gb. My phone shows 4gb , is that for apps only . and the rest of 12 GB is for pics etc. Is that right. Ram Daryani, 06 Oct 2014Hi folks .. 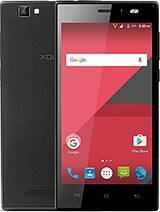 I purchased XOLO Q3000 about 15 days back. I was surprised to find that all drawba... moreHello Bro. you made the best choice in this price segment. If we look at a full hd screen this big size only thing available was Samsung Note 2. see the price difference between note 2 and Q3000. Samsung, Sony, HTC, LG are all looting people in name of brand. People forget that it was we who made them brands. We can certainly turn game on for any brand and turn it to a big brand.